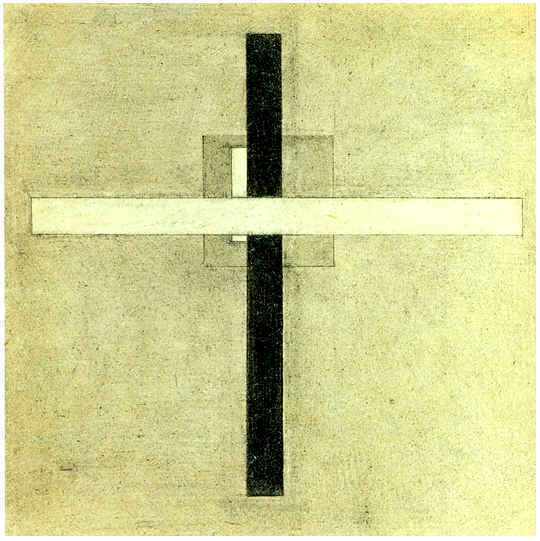 Nikolai Suetin - Composition with a Cross. 1921-1922. Pencil on paper, 20.7x20.5 cm. Private collection.